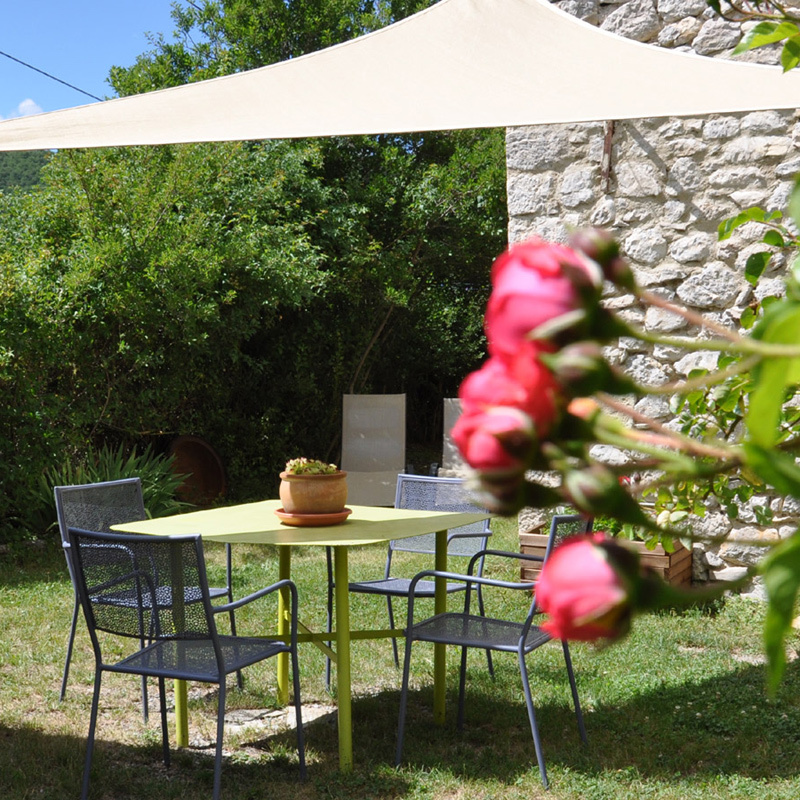 The Lapin Voyageur cottage** (50m² + private garden) has a capacity of 4 people. It is part of an old renovated farmhouse. It is located in ground floor, has a separate entrance and a private garden with a small "appentis". in the Middle of the Fields, not far from Lachau, a typical small village with the junction of Drome of Provence, the High Alps and the Alps of Haute Provence. At the heart of , equidistant (40km) Buis-the-Baronnies, Sisteron and Laragne, a corner of paradise for in love ones of a preserved nature, away from the tourist routes of mass. You will stroll on foot or by bike, you will wade in whitewater streams, swim in the pools Méouge, fly in delta or paragliding. You will meet cows, goats and sheep, and why not, during an early morning departure or late afternoon, a hare in the scrubland or lavender, a doe on the edge of a wood, a chamois, a wild boar? Enjoy seasonally the provence of fruits, apricots, cherries, olives on the side of Buis-les-Baronnies, plums, apples and pears on the side of Sisteron. But also the goat cheese, local lamb ... And at sunset, admire one of the most beautiful skies in Europe.